Are you thinking about starting a new food truck business? Before investing your precious money or your even more valuable time in this venture, you need to know if rolling into the mobile food industry is the right choice. Ask yourself these 4 questions before starting a food truck business. 1. Is This The Industry You Want to Be in? The first and most basic question helps you understand if you are really sure that you are starting your new business for the right reasons. You possess significant experience in food service and you think you have a large enough customer base to start your own business. You’ve had the chance to spot a missing food concept that your market is currently lacking and think you found a solution which may entice potential customers. You have leadership and management and experience and know how to administrate a business. You are up to the challenge. You just despise your current boss and want to be left alone. You want to become rich as soon as possible. You think you’re going to be famous. You want a lighter work that leaves more hours to rest. 2. Do You Have Enough Money to Invest in a New Food Truck? Food trucks require some time to become profitable, so you have to think carefully about the amount of money you want to invest. Although you can use the internet to find where to buy food trucks for sale, taking a loan that you cannot repay in the short term might kill your chances to earn a profit. Overhead costs depend a lot on your food truck business model, your concept, and your menu. It’s not so uncommon that your estimate budget could quickly increase up to threefold in the first few months. It can also take a 6 months to a year in some cases before a business begins to make enough money to hire employees. This also means that you may be working long hours for little pay in the interim. Plan accordingly: if you do not have the means to support yourself during this time, you may want to wait until you have more capital set aside, or organize your time to so as to keep your current job while you operate the truck on the side. Likewise, you may want to put those extravagant truck dreams on hold and find used food trucks for sale. 3. Do You Have The Right Skills To Run A Food Truck Business? 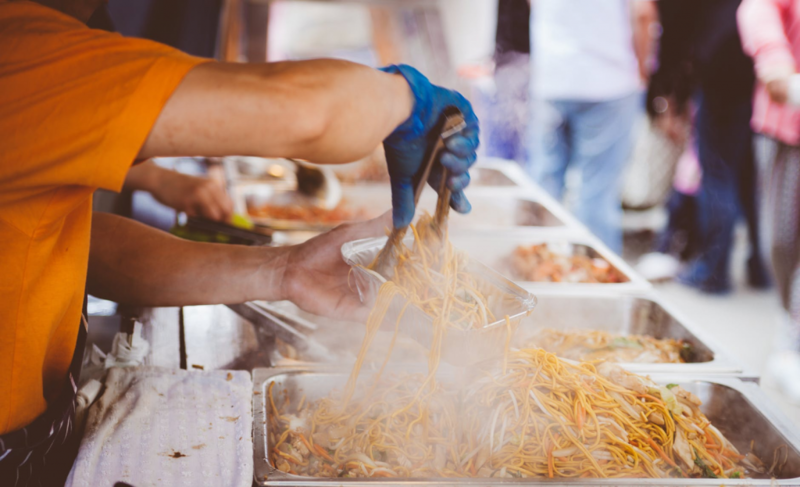 A common mistake behind many failed food businesses, is confusing one’s will and ability to cook great dishes, with the administrative skills required to manage a successful food truck. Being able to prepare delicious food is a great advantage, but it’s only one of the many skills required to be able to earn a profit. You must be ready to spend a lot of your time managing finances, as well as marketing and advertising yourself to actually make your business worth its investment. A servsafe certification, or some other training that provides a proper understanding of food safety. Leadership skills to manage yourself and coordinate staff members. Administrative skills to handle the finances. Basic marketing skills to promote your food truck brand and attract new customers. 4. Do You Have The Right Team To Assist You? Although it is possible to do everything yourself, it is unlikely that you will be successful at starting a food truck if you do not have a team or at least a trusty helper to have your back. When they first start out many new owners often must be chef, CEO, driver, marketing manager and accountant at the same time. It is easy to understand how quickly you can get overwhelmed by so many responsibilities. Having someone who can help or at least support you in the beginning can make all the difference in the world. If you have to struggle with the many up and downs, at least you want to be sure that the people around you are supportive of this process. Can your family or your partner lend a hand when things go south, or if you happen to fall ill? Is everyone around you able to accept that there is a possibility of failure when starting any new venture? Starting a new food truck business might require many sacrifices. You will probably have to cut down your personal expenses, work for most of your time, and never get enough rest. However, if you’re ready for all this, success is behind the next door.